7 Health Benefits of Ginger | What Does Ginger Do For You? Learn how the health benefits of ginger may help you improve inflammation, nausea and more. Closely related to cardamom and turmeric, ginger has become one of the most popular spices used in recent years, thanks to its distinguishing flavor and amazing health benefits. If you have ever wondered what does ginger do for you, you might be surprised at the long list of health advantages ginger offers the body. Whether you use the spice fresh, or in powdered, oil, or dried form, the health benefits of ginger are vast. Click here to learn which common ailments ginger can help relieve. It has incredible anti-inflammatory power: Many of the health benefits and medicinal properties of ginger is linked to the spice’s main bioactive compound called gingerol. The compound has been extensively studied and is known for having strong antioxidant and anti-inflammatory effects, in addition to exhibiting anti-cancer properties. Nausea is no match for ginger: Ginger has held a long reputation for being a stomach soother when it comes to nausea. The spice has been the focus of dozens of studies over the years that have researched its use in patients who deal with nausea and vomiting after surgery, people who deal with nausea due to chemo, and ginger being used by those suffering from morning sickness. While studies have shown the spice can significantly reduce nausea, speak to your doctor before taking large amounts of ginger, especially if you are pregnant. Improve chronic indigestion issues: In addition to being used known for its historical use of relieving nausea, ginger is also a popular spice for easing indigestion. Chronic indigestion, also called dyspepsia, can exhibit as upper stomach pain after eating and is often associated with delayed stomach emptying. Studies have shown that consuming ginger before a meal can actually help speed up stomach emptying by as much as 50%! Say goodbye to pain and soreness: Do you deal with sore muscles after exercising? If so, consuming ginger could help alleviate some of the pain. Though it doesn’t work on pain immediately, studies have shown that consuming 2 grams of ginger could provide enough anti-inflammatory effects that decrease pain and muscle soreness. It may lower blood sugars: More health benefits of ginger have been recently found when it comes to lowering blood sugar. A 2015 study showed that 2 grams of ginger a day given to people with type 2 diabetes helped lower their fasting blood sugar by as much as 12%! In addition, the study found the ginger also lowered HbA1c by as much as 10% over a period of three months. Decrease menstruation pain: There are also many ginger benefits for women, one being a decrease in menstrual pain. Many cultures have traditionally used ginger for pain, so studies have been done to see how the spice worked when it came to menstruation pain. In one study that included 150 women, it was found that just taking 1 gram of ginger a day relieved the pain as much as taking over-the-counter ibuprofen. It’s an infection fighter: Feel a little under the weather? Try taking ginger, known for lowering the risk of infections and inhibiting bacteria growth, thanks to gingerol. 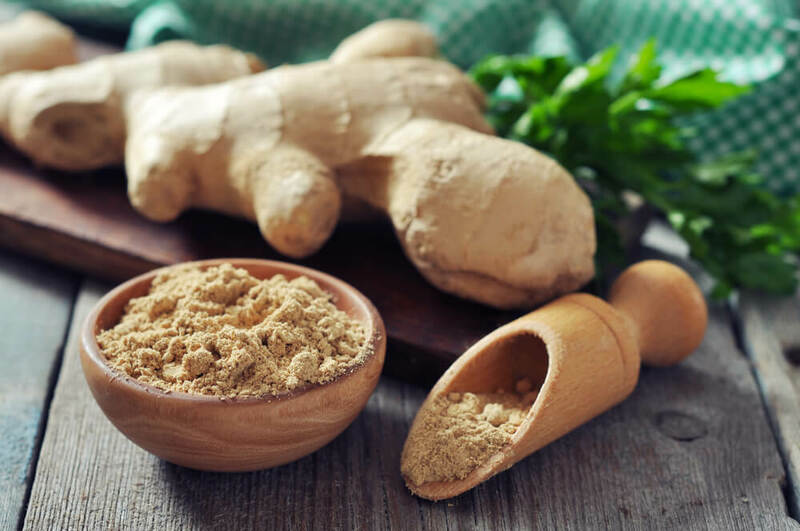 From oral bacteria to potentially being effective against RSV, a common respiratory virus, ginger is a great tool to have in your arsenal when it comes to staying healthy. With so many health benefits of ginger available to you, your toughest decision might be which form is best for you. Ginger is often used in a tea, as a fresh spice grated into soups, in a pill/supplement form, or in a dried spice form and added to a variety of dishes. To learn more about ginger benefits for women and men, click here or visit www.BetterHealthKare.com. Tags ginger benefits for women, health benefits of ginger, what does ginger do for you?